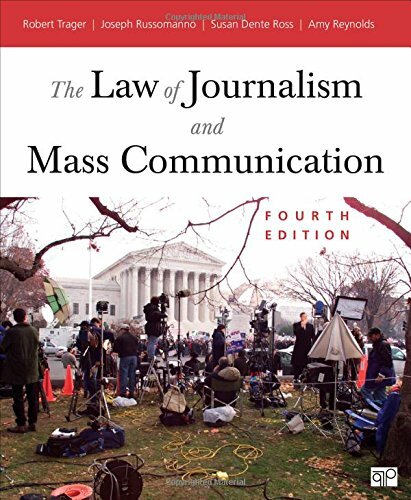 With its clear and engaging writing, essential coverage and analysis, and substantive discussion of case law, this is a popular and comprehensive introduction to the law of journalism and mass communication. It includes: * Photos and feature boxes, as well as a marginal glossary of legal terms and concepts * Hypothetical cases which start each chapter and are then followed by a timeline showing landmark cases in context. * Real World Law boxes illustrating contemporary examples and emerging topics * Points of Law boxes underlining key points and legal tests. * A student companion website to help aid review and study. If you have any questions about this product by CQ Press, contact us by completing and submitting the form below. If you are looking for a specif part number, please include it with your message.